Baize Craft supplies snooker, pool and leisure products including football and air hockey tables to the general public and to various types of clubs and organisations. Baize Craft was founded over 15 years ago and since then we have moved from strength to strength. We pride ourselves on customer satisfaction and will always do our best to ensure your happiness. Do you ever wish that you could have a snooker table but you do not have enough room to fit one in? Well now your problem is solved; we have the perfect solution, the snooker / dining table. The way it works is simple, you have your snooker table and to go with this, there is a two piece wooden top so that when you aren't playing you can place this top on and so convert it into the perfect dining room table. Derriaghy Cricket Club play their cricket at Queensway, Dunmurry, Belfast on a cosy little ground nestled between the main Belfast to Lisburn Road and the Belfast to Dublin railway. Derriaghy Cricket Club was founded in 1920 and has four teams playing weekend cricket in various divisions of the Northern Cricket Union leagues; we also have under-15 and under-13 teams. We pride ourselves on our coaching which is delivered by our professional and qualified players. Downshire Tennis Club goes online. The site has been launched to promote tennis in the Hillsborough area and provide an information service to the existing club members. The site provides details about the Club, the calendar of events and the results to all the team matches in the Belfast & District Leagues. Join Us at Lisburn City's Lagan Valley LeisurePlex Based at Lisburn Leisure Park just outside the city centre, the LeisurePlex boasts the largest leisure pool of its kind in Northern Ireland, with some of the fastest, longest and wettest water rides in Ireland. Complete with a 25-metre competition pool, diving pool, fun filled leisure pool, GymTech 2000 Health and Fitness Suite, Studio 2000 Dance Studio, multi purpose main hall and excellent conferencing facilities, the Lagan Valley LeisurePlex offers one of the most extensive facilities in the United Kingdom. The Ultimate laser games has landed in Lisburn and taken the games to a whole new level. Using the latest laser tag technology we bring you an extreme participation fantasy experience. Whatever your age, whatever the event, whatever the number we cater for it all. So why not call in or contact us for the most unforgetable time you’ve had ever!! 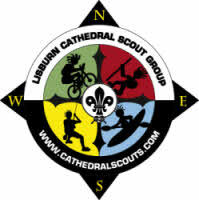 Lisburn City Paddlers or LCP was formed in October 2008 by a small group of paddlers from the Lisburn and Greater Belfast areas.We are fully affiliated to our Governing Body The Canoe Association of Northern Ireland (CANI). Members are interested in most aspects of the sport including whitewater kayaking, surfing, open canadian canoeing (both touring and flat water) and canoe slalom. The emphasis at present is on river running, sheltered flat water paddling and surf. We have plans to introduce pool training sessions in the very near future. A few members have paddled in the French Alps and the Julian Alps in Slovenia on summer trips. The club was formed in 1973, and was based at the Lisburn Town Pool in Market Square until 1999. The facilities there included a 33.33m 6-lane pool with diving boards, with the later addition of a 20m shallow learner pool. The Club entered the competitive scene in 1975 and affiliated to the Ulster Branch of the Irish Amateur Swimming Association in 1976. Success began in 1980 with wins in a friendly gala against Monaghan and in the Provincial Towns League against Portadown. The Club then grew from strength to strength producing a strong team and a number of notable swimmers. The Town Pool was closed on Friday 29 October 1999 and finally demolished to make space for commercial development. The Club lost no time in moving to the new facilities at the Lagan Valley LeisurePlex on 1 November 1999. The competition hall consists of a diving pool, a 25m, eight-lane competition pool and viewing gallery seating 300 people. It meets the requirements of an International Short Course venue. The diving pool has 1m, 3m and 5m competition boards, is 13m square with a hydraulic-controlled floor that can be lowered from deck level to 4m depth, thus doubling up as a learner pool. Lisburn Cricket Club - Founded 1836 Cricket in Lisburn dates back to 1836, making the club the oldest in Northern Ireland. Lisburn have won the League Title eleven times and the Senior Cup on nine occasions. Hilden Tennis Club is represented by several teams in the Belfast & District League and matches are played throughout the year in the Winter League, Singles League, Mixed League, Evergreen League, Challenge Trophies, Summer League, Knock-Out Cup Competition, Autumn League and Floodlit League. Our U14 and U18 girls and boys also represent the Club in the Juvenile League. The Sea Cadet Corps is a nationwide voluntary uniformed youth organisation, open to all young people aged 12 to 18, Marine Cadets for young people aged 13 to 18 and with Junior Sections open to those of 10 to 12 years of age. It is Britain's most successful nautical organisation for the development of young people with Units run by enthusiastic adult volunteers. We have a rank structure modelled on that of the Royal Navy, giving Cadets an opportunity to progress and take up positions of responsibility as they acquire skills and seniority. On reaching 18, many Cadets choose to stay on as adult instructors, when their training and talents become invaluable. The remit of the Sea Cadets is to provide fun, friendship, adventure and learning new skills based on waterborne and land based activities. Address: Lagan Valley LeisurePlex in the city of Lisburn. 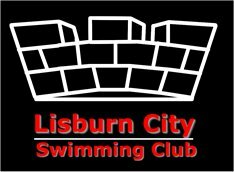 Lisburn Sub-Aqua Club (LSAC) was formed over 30 years ago as a branch of the British Sub Aqua Club (BSAC) and some of the original members are still active in the Club. We have a highly trained, dedicated and motivated team of instructors who will commit their time to training in a safe and enjoyable manner. Safety is paramount with LSAC and we follow all BSAC safe diving guidelines. We have at present approximately 70 members. Our Clubrooms are part of the Lagan Valley LeisurePlex in the city of Lisburn. The clubrooms are situated on the right of the main entrance to the LeisurePlex. The Club meets on Tuesday and Thursday evenings from 8.00 pm. The main swimming pool is available to members and visitors each Tuesday and Thursday evening from 9.30 pm to 10.30 pm. Here you can find out all about Taekwondo - a point of reference, information, photos, interaction and more! We aim to promote taekwondo, encourage everyone from all walks of life, all ages, either gender and of all shapes and sizes to come along and find out what this sport is all about. As our ethos states, we aim to build your strength - physically and mentally - so that you can improve your body, how you feel and improve your confidence in yourself - your overall spirit of well-being. Think that we are talking nonsense? Then come down and chat to our members - feel free to find out what they get out of Taekwondo, how it helps them and gives them focus to mtoivate and drive them in their everyday lives. They would be happy to share and demonstrate! The National Countrysports Fair is Ireland's premier country sports event. This two-day show, held annually at Moira Demesne in rural Northern Ireland, is now recognised by Ireland's country sports community as the country's biggest and best country sports occasion. The 14th annual fair will be held over the weekend of Saturday 23 & Sunday 24 May 2009. Hello and welcome to the website of St. Patrick's GAC, Lisburn. This site you will keep you up to date with all the latest developments in the club such as fixtures, training times, club news etc, as well as serve as an information resource on the club with articles on Club History, Directions to Club and information regarding joining the club.